Quickly check your faxes from any computer where you have access to a web browser. Your incoming fax is delivered as email attachment. 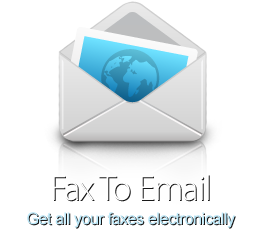 Easily Send faxes via the website. Our service offers FREE Secure Online Storage for 30 days with long-term Secure storage available for 6 months, 1 year or 2 years. Your files can be accessed via a secure web based interface or via FTP. With a Smart phone use your wireless PDA or cell phone to access your faxes. Faxes arrive in your private email inbox. We force SSL for your security. Our systems include multiple geographic dispersed data centers, hardware/software redundancy, and carrier diversity, which provides fault tolerance and automated fail-over in the event of localized issues. We offer local numbers in most every area code in the United States. We may or may not have local numbers in your city depending on where you live. As we expand into other markets and cities, additional area codes will be offered and you will receive email notifications of these new area codes. You have the option at any time of switching numbers at no charge. Due to the fact that fax calls average less then one minute in duration, and the cost of long distance is now extremely inexpensive or in most cases is bundled in commercial and residential plans, the majority of customers do not mind having a fax number in another area code. In some cases, businesses see it as a way to increase their national visibility. Many people ask is our service compliant with HIPAA (Health Insurance Portability and Accountability Act)? HIPAA is a set of rules and regulations in the medical industry to regulate Privacy and Security. It is our understanding that there is no “official HIPAA certification” and that organizations must self-certify their adherence. We do follow strict security policies, procedures and guidelines on all server, network, telecommunications and data storage systems, including but not limited to encryption, to protect the privacy of the data and ultimately your personal privacy.